But did the mwr download code work ? 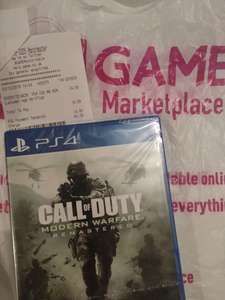 Call of duty modern warfare remastered £3 Asda. Handsworth Sheffield. 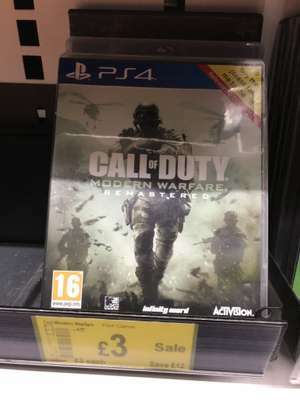 It was posted while ago so was trying to check if its still relevant or someone who recently got the deal in their local Asda. But thanks for sharing the deal. Well I am the op and I can tell you if it’s in my local store but unless you live next door that information would be pretty useless. I knew there will be someone waiting to put such useless comment. Maybe go outside and have a look in your local Asda? Credit goes to xbox360achievements.com Call of Duty: Modern Warfare 2 is now available to play on the Xbox One. I've tried going online but it says this account cannot play on Xbox live, yet I'm playing WoT ok.
Or you could pay £12 @ CeX (popcorn) Part of the 2 for £5 promotion also so maybe worth checking what else is available. That's PS3. This deal is for 360 only which has gone up a lot due to the backwards compatibility. Good price delivered.Popped in the other day to local store so maybe worth checking your local stores if interested? Back up again but keep an eye on base if you want this. Expired. 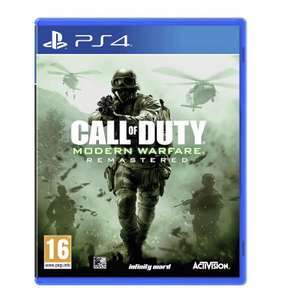 Never miss a 'Call of Duty: Modern Warfare' deal again! So after I posted a previous deal about this game I came across this deal which not only is 13p cheaper but also gets you a free headset with it. Those headsets are as uncomfortable as heck. I'm debating because this Modern Warfare 2 remastered rumour doesn't seem real now..
Used to be. COD 4 Lobbies are all filled with snipers (annoyed) in case you're thinking of playing it on BC. See if they fixed the hackers (people with JTAG consoles) this game would still be on top, the remastered edition was a massive let down. The first modern warfare was the greatest game ever, on the pc before all the restrictions on servers were introduced. Proper clan based stuff. Just get the 360 version for a couple of quid. Plenty of tdm games yesterday. Cosmetic? No. They added a lot of new guns in the game that could be bought with CoD coins. They sold the DLC Map Packs separate, which was money grabbing BS. The micro transactions though, were just there for cosmetic reasons really. Nobody has/had to buy them. To be honest more was made of it than ever needed be. A lot of complaining over nothing on that one. Loot boxes bought extra weapons to the game. More camos. Actually works well. And there's no need to force to spend money unlike other games. Will this backwards compatible version able us to play online? Thank you! So annoying to see speculation being thrown around as fact. There was an invisible hack, I was in a few games with them in, very annoying! I spent 100s of hours on Ops1 and never came across any hackers, I played it up until Ops2. And they wont patch them when the new one comes out because they know idiots will continue to play that one to cheat and finally get a positive KD and then all the ones sick of hackers will buy the new one, win/win for the games company! They cancelled my order today. Their excuse was couldn’t send it to your address. still feel like 400 bucks is a bit much.. it feeling the xbone right now. kinda want something new.. like VR to play around with.. The £5 gift card is the deal breaker here ! Its £30 for both directly from AO.com with their code. Yeah Still - it's gonna go very cold as HUKD is a fickle mistress :-) ahh well serves me right for not reading carefully... You live and you learn! Ah Crap - Sorry guys, didn't see that - i guess you could add wolfenstien 2 as well? You'd get both games for £36 with free delivery Cex gives a voucher credit of £20 aswell for Modern Warfare Remastered Ps4 so you could get Wolfenstien 2 slightly cheaper with a bit of leg work. Again apologies! Firstly, it’s “should have” and not “should of”. Secondly, maybe learn some manners and stop being rude and aggressive to people over the internet for what may have been a simple mistake. Decent price. The multiplayer variety map pack is not included. 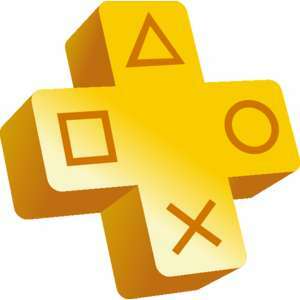 Good deal for those who want separate boxed games. If not you can play it and then take it to cex for £14 cash or £20 voucher. Often wish I'd waited for this to drop in price, rather than buying the legacy edition.